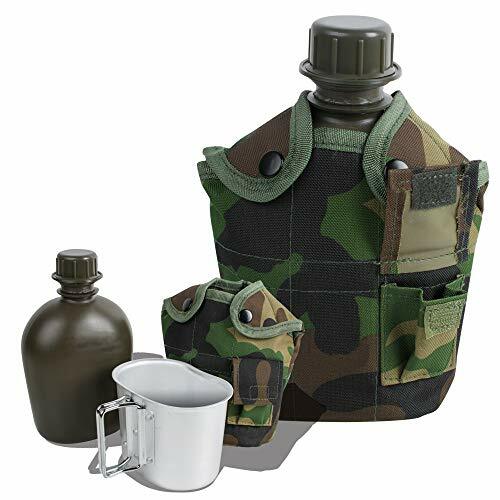 ✪ This canteen kit can be used for cooking, heating water, signaling help, heater,or just making a cup of hot coffee. An essential piece of equipment in everyone's journey! ✪ The Military Outdoor Clothing canteen/general purpose pouch features a quick-release adjustable buckle and 2 Velcro-closure side pockets for water purification tablets. Made of lightweight material. The pouch is used military surplus.